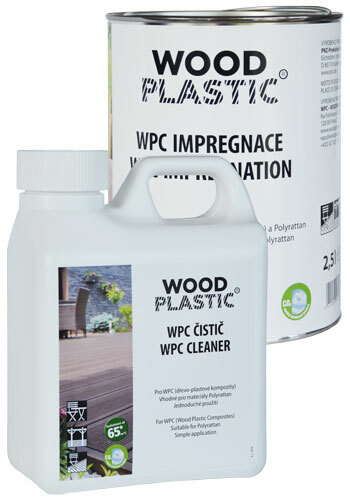 WPC Cleaner is suitable for basic cleaning of WPC (wood-plastic composites) and surfaces made of Polyrattan. Specially developed WPC Cleaner removes atmospheric pollution, grease, oils and other dirt. 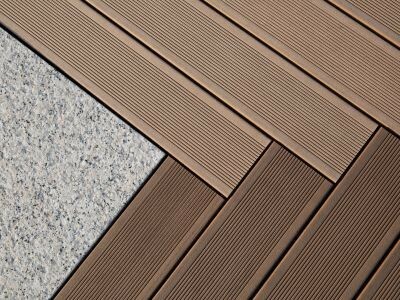 For WoodPlastic® decking in winter gardens and interiors, it is recommended to use WPC Impregnation. WPC Impregnation is solvent-free, colorless, suitable for all WPC surfaces and surfaces made of Polyrattan materials. 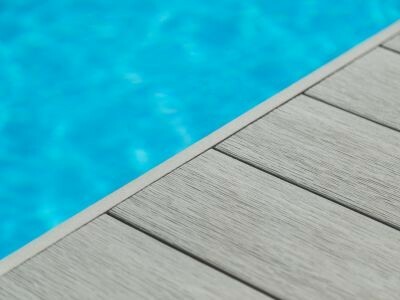 Thanks to the natural oil content, the product impregnates porous surfaces and makes the maintenance of the decking in the enclosed areas easier. 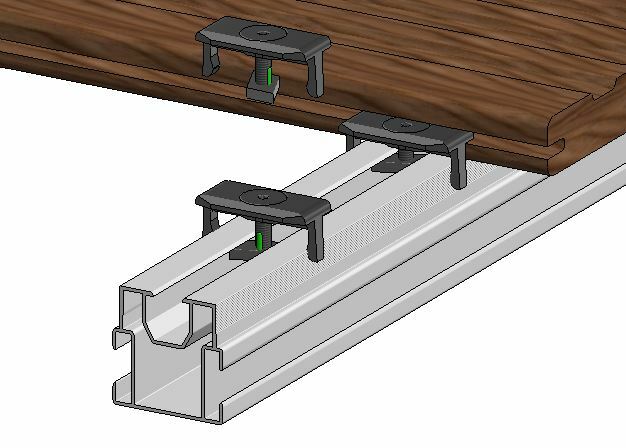 WoodPlastic® joist are used as a part of support system for deck boards. They are made of the same material as deck boards and therefore they achieve high quality and long life. Stainless steel clips and screws are used to easily fix the boards to the joists. Deck boards are installed using a hidden fixing system. 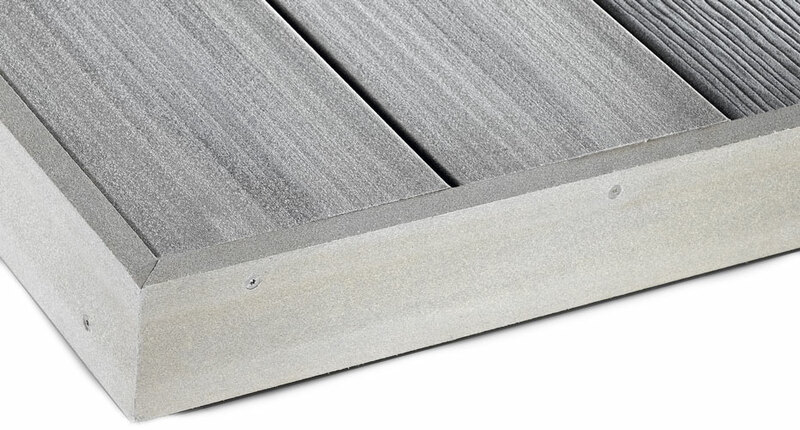 The fastening material is therefore not visible on the walkway on the decking. 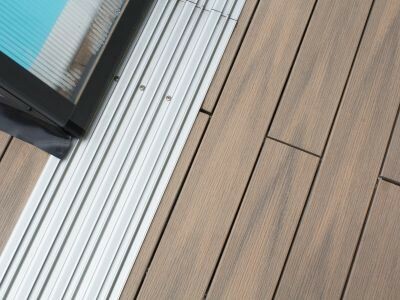 Thanks to this, the decking has a more elegant look and the movement becomes completely safe. 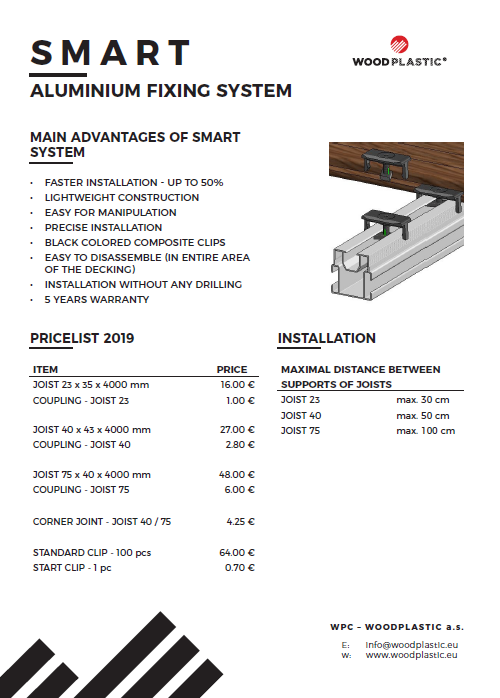 For the installation of PREMIUM and MAX profiles, three types of clips are used – START CLIP, STANDARD CLIP and DOUBLE CLIP / DOUBLE CLIP only for PREMIUM profile /. 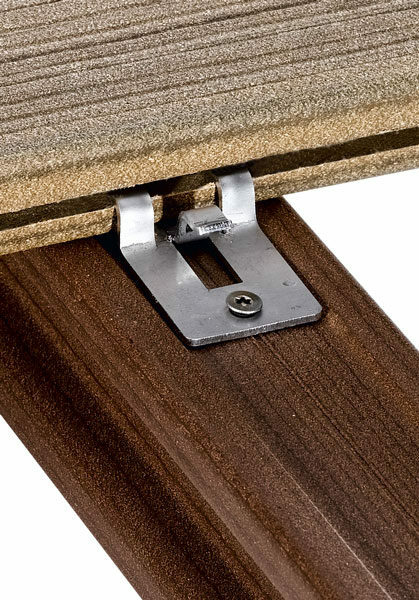 For TOP profile deck boards the special STANDARD CLIP TOP is used. Thanks to the finishing boards, you get a professional and elegant looking side of the decking. 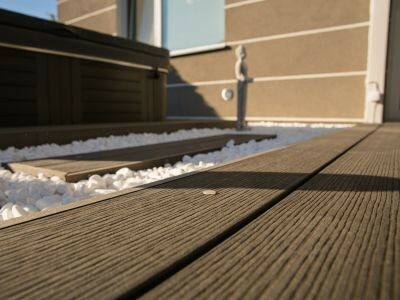 Finishing boards are made of the same material as WoodPlastic® decking.